So, the time has come to replace the roof on your home in the Houston Texas metro area. 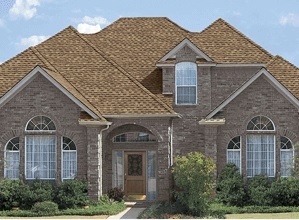 One of the decisions that comes along with this is what color of shingles to choose for your home. With all of the roofing shingle color options, you will likely consider which option would be best for your home. In this post, we share some dos and don'ts when it comes to what color you should choose. Below are some helpful pointers and bits of information. In our sunny, hot and humid climate, many homeowners often consider going with a white roofing shingle in order to reflect the sun and heat. 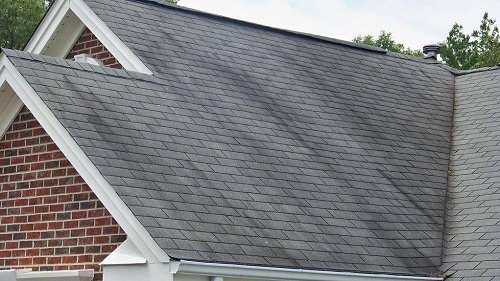 This may at first seem like a good idea, but it is important to understand that after time, the roof will start getting dark streaks and these black algae streaks can make for an unsightly roof appearance and a disgusted or frustrated homeowner. Most every subdivision in the greater Houston metro area has a HOA (Home Owners Association). We strongly recommend you contact your HOA with your roofing shingle color choice for approval before moving forward. There is a pretty good chance that they have an approved list of roofing shingle colors they allow homeowners of the subdivision or neighborhood to use. 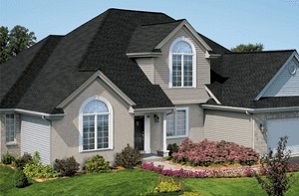 Many subdivisions will allow you to choose your very own roof color. We suggest that you try not to go with the same color as the neighboring home right next door. Make yours different as to not blend in. Try not to duplicate their roofing shingle color, unless this is the norm for your neighborhood. On the other hand, try not to make it clash with your neighbor so the homes on the street flow nicely and your home does not stand out obnoxiously. Be sure the end result is harmonious and enhances your home. Your roofing contractor should be able to provide you with samples of the roofing shingle colors available with your shingle of choice (and in your area). Once you have this, hold it up to the roofline, the brick or your siding, and trim color to make sure the shingle does not clash with the siding and/or trim color. We hope that you have found this 'dos and don’ts' roofing shingle color post helpful as you make the decision to replace your roof and are making your roofing shingle color selection. 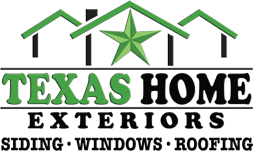 Thank you for reading from the Texas Home Exteriors team.